Clandestine Drug Lab Preliminary Assessment and Testing - Meth Lab Cleanup Company's approach is based upon our technical competence, our professional experience, regular communication with our clients, and above all, responsiveness to the needs of our clients to provide superior and creative clandestine drug lab assessment and decontamination solutions. Meth Lab Cleanup Company strives to identify potentially complex issues before they become problems and assist our clients in understanding and dealing with any issues upfront. In Washington, Oregon, California, Alaska and Hawaii, Meth Lab Cleanup Company offers: Site Assessment; Photo Documentation; Quality Documentation; Quality Control; Disposal & Preparation; Decontamination; and Post Sampling and Clearance Reporting. Meth Lab Cleanup - Nothing Beats Experience - Meth Lab Cleanup Company has provided superior solutions to clandestine drug lab assessment, testing and decontamination needs for our clients and partners since 2003. 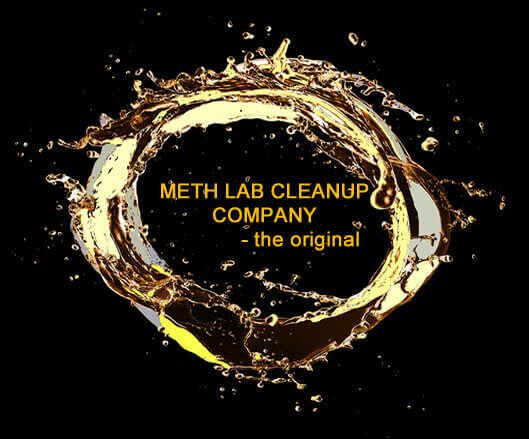 Meth Lab Cleanup Company’s clandestine drug lab services team includes industrial hygienists, hazardous waste management specialist, OSHA experts and certified clandestine drug lab decontamination specialists who have extensive experience in the field. Accredited Expert Witness Services - Meth Lab Cleanup Company principal, Joe Mazzuca, is an accredited witness specializing in clandestine drug lab assessment and decontamination. Joseph has been called to court, has provided numerous affidavits and regularly consults with attorneys on methamphetamine production contamination and remediation. Joe has over 13 years of experience in the clandestine drug lab industry and over 25 years of experience in hazardous environmental safety administration. Meth Lab Cleanup Company has fostered good working relationships with the various state and federal agencies regulating the clandestine drug lab industry. Our diverse project experience has also allowed Meth Lab Cleanup Company to gain national notoriety. Familiarity with local, state and federal regulations, gained through our extensive regional, national experience, combines with our commitment to quality customer service and has produced reliable and rewarding outcomes for our clients. For a comprehensive listing of clandestine drug lab regulations, visit our Regulation web page. The High Intensity Drug Trafficking Areas (HIDTA) program, created by Congress with the Anti-Drug Abuse Act of 1988, provides assistance to Federal, state, local, and tribal law enforcement agencies operating in areas determined to be critical drug-trafficking regions of the United States. Meth cooks, their family members, and first responders are often the ones who are injured (or worse) in illegal drug labs. Toxic chemical fumes, spills, explosions, and fires make meth labs dangerous places. Waste dumped from meth labs can expose people to toxic chemicals. State and local health departments are tasked with the quarantine and oversight of clandestine drug lab contaminated properties. Visit Wikipedia for the contact information on Washington, Oregon, California, Alaska and Hawaii state and local programs. The DEA posts a Clandestine Drug Lab Registry online. The registry contains addresses of some locations where law enforcement agencies reported they found chemicals or other items that indicated the presence of either clandestine drug laboratories or discarded production materials. The source of the entries is not the DEA, and the DEA has not verified the entry and does not guarantee its accuracy. Members of the public must verify the accuracy of all entries by, for example, contacting local health departments and local law enforcement. Please note that the registry is incomplete and not frequently updated.